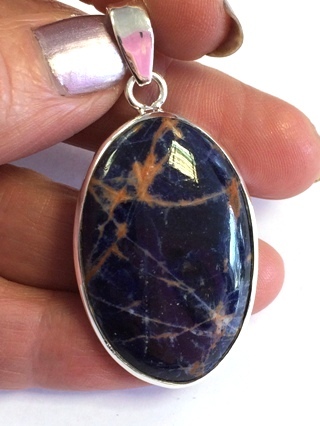 Set in 925 silver, this colourful pendant holds Sunset Sodalite, a variety of the blue stone that has yellow rather than the usual white vein pattern. It was discovered in Canada, and the sunset yellows are inclusions of an iron-rich Feldspar. 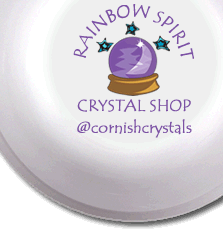 It is valued as a stone of clarity, confidence and strength. Sodalite rarely forms as crystals, more as chunks of cobalt blue with veins and flashes of white calcite. It is a stone of wisdom, used to spark intuition, raise mental ability and enhance insight.